Batting first was the correct option taken by Pakistan as they aimed to put up a total, out of reach of Zimbabwe. 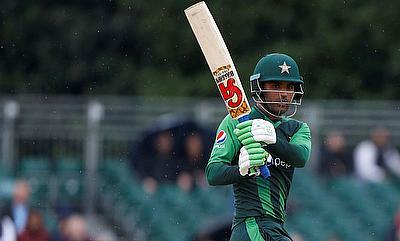 Having completely dominated the series so far and with their hosts, struggling to put out a decent XI, the flamboyant brilliance of Fakhar Zaman, who become the first Pakistan batsman to score a double ton in an ODI, thus raising the bar for his team that finished with 399-1 in their 50 overs. It was a record-breaking day with a number of individual and team milestones achieved by Pakistan batsmen, against a demoralized Zimbabwe, who was seen falling apart in their bid to compete in the present ODI series. One of slender physique and humble demeanour, Fakhar Zaman, leaving no doubt of his class, paced his innings to perfection. Keeping himself at more than run-a-ball for the best part of his innings, he jumped few gears and was at ease when nearing his double hundred. 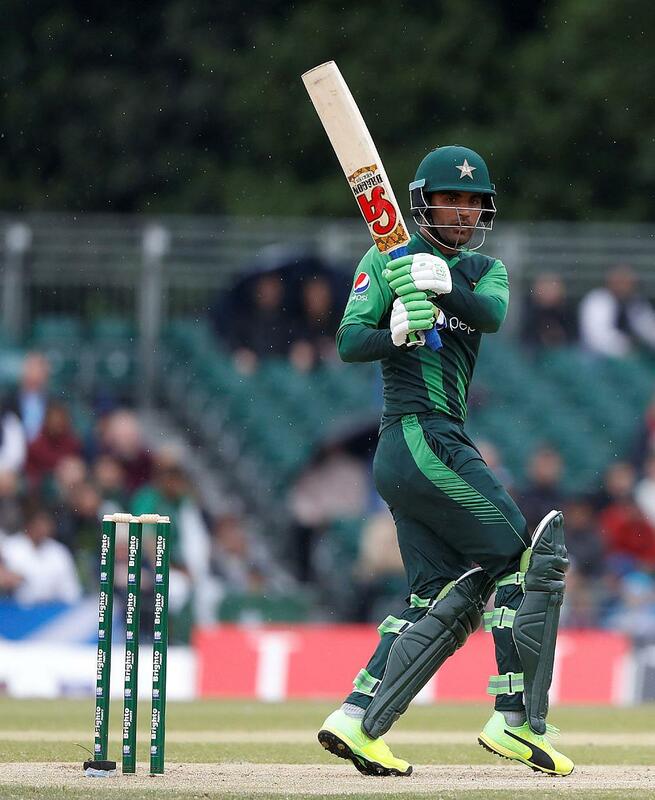 Fakhar clearly favours the leg side but for that magical figure of 200, it was a lofted off-side boundary, over extra cover at 11.41 GMT in the 47th over, that took him into an elite group of batsmen in world cricket. He looked reasonably fresh after his onslaught over the Zimbabwe bowlers, who were clearly relieved to come off the Queens Sports Club, Bulawayo, at the end of the 50th over. Carrying his bat for the entire duration of Pakistan’s innings, it was both test of physical and mental strength as Fakhar walked off with a magnificent 210not out off 156 balls with 24 fours and 5 leg-side sixes. Richly deserved standing ovation and handshakes of many, including Zimbabwe head coach, Lalchand Rajput, greeted the 28-year old Pathan, who originates from Mardan. Today he overtook Saeed Anwar’s long-standing national record score of 194 scored against India at Mohali in 1997 and is only the sixth player to notch up a double hundred in the ODIs. Asif Ali, as expected, promoted to a one-down position, walked in the 43rd over to play a cameo, full of brutal hitting and some innovative strokes behind the wicket. He will not forget his maiden fifty as it only required 22 balls including a sweet straight six over the sight screen and another equally impressive drive over extra cover off a slower ball. 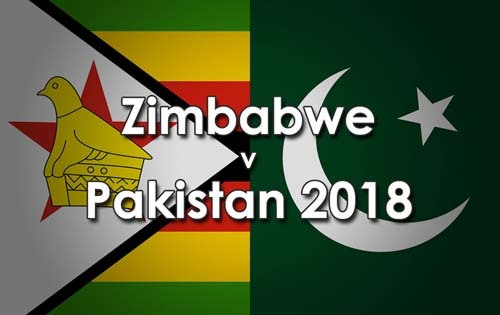 ‘Records falling like autumn leaves’ was an apt statement in Bulawayo as to three Pakistan batsmen racked up a total, a run short of 400 mark, thus surpassing the country’s previous highest ODI total of 385 against Bangladesh at Dambulla in 2010. Imam-ul-Haq’s 113 off 122 balls with 8 fours, his 3rd ODI ton in just 8 games, was overshadowed by his partner’s devastating display. Their opening stand worth 304 runs is the highest for Pakistan and fourth highest for any wicket by all teams in ODI history. Faced with an almost impossible task of overtaking a massive Pakistan total, Zimbabwe crumbled under pressure. Half of its side was back in the pavilion for 67 runs on the board in the 20th over. The lower half fared slightly better but could not avoid the inevitable as they were bowled out for 155 in 42.4 overs. Wrist spinner Shadab Khan, finishing the match with 4-28 off 8.4 overs to play a hand in his side’s overwhelming 244-run win and 4-0 lead in the five-match series.